Beijing Based Chinese mobile Company Xiaomi better known as Mi has now started its other products in India besides Smartphone’s and accessories. Recently the company launched the series of MI TV in India. Now the company has launched the Mi Body Composition scale in India. It is a consumer electronics product worth Rs 1,999. The Mi body composition scale works with the MI Fit app and the company claims that it answer the question related to your body composition. It has been claimed that result by this device is accurate and it shows the actual picture of your fitness and overall health. Know your body better with Mi Body Composition scale which generates accurate stats via a series of complex algorithms and advanced Bioelectrical Impedance Analysis (BIA). 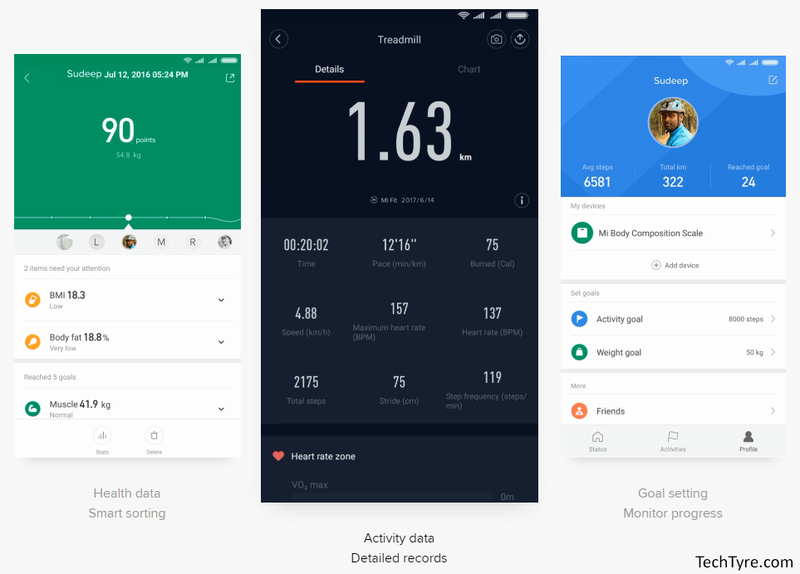 Now take data-driven measures to meet your health goals. Mi Fit app keep a track of different characteristics of your body composition like body weight, fat percentage, body water percentage and more to provide you with a complete training programme. This device gives you information related to your health and body which includes information such as your weight, body mass index (BMI), body fat, muscle mass, water percentage, bone mass, body score and basal metabolism. You can have the option to create a user profile too so that you can track your health progress. This fitness-based device is made from tempered glass material which is very strong. It has LED light sensor in it. This LED is only in 3 seconds of climbing on this device. The special thing is that this LED light can adjusts automatically so you can see it in the dark or light. The device doesn’t just identifies adults and children apart. It automatically store the data of each family member up to 16 user profiles. Equipped with low-energy bluetooth 4.0 technology, the scale will operate up to 8 months using just 4 standard AAA batteries (included). If we talk about design then it’s sleek, made from strong tempered glass with highlight transmittance for the main panel. To safe from slip and fall, the polished glass features anti-slip finish to ensure sturdy grip needed, even for wet feet. Its refined texture and gleaming level is the perfect complement to any home. 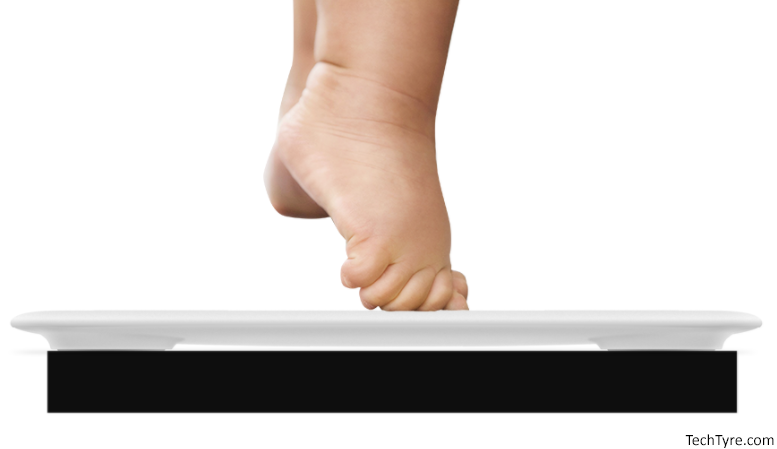 To get your body measurement you need to stand on the device in specific posture. This Smart Weighing Scale can easily connect with internet and your Smartphone. It can be paired by installing the Mi Fit app on the Smartphone and your health-related data will appear on your Smartphone only. You can share your health related data with your physician and social media too. Mi Body Composition Scale’s profile comes to just 14.75mm which is slimmer than the diameter of a typical coin. And with its beautiful pure white finish, it makes a perfect device for any home.